Sometimes the need for cake is strong but the will is weak. That’s the kind of mood I’m in a the moment. Motivation is low and I am just not in the mood for eating anything remotely healthy. I have had a cold for two weeks, the wind has whipped my hair into a tatty mess and it’s so cold again tonight we have a fire on the go and I have an old lady blanket, and the dog, on my lap. It’s no excuse for eating crap, but that’s my story and I’m sticking to it. 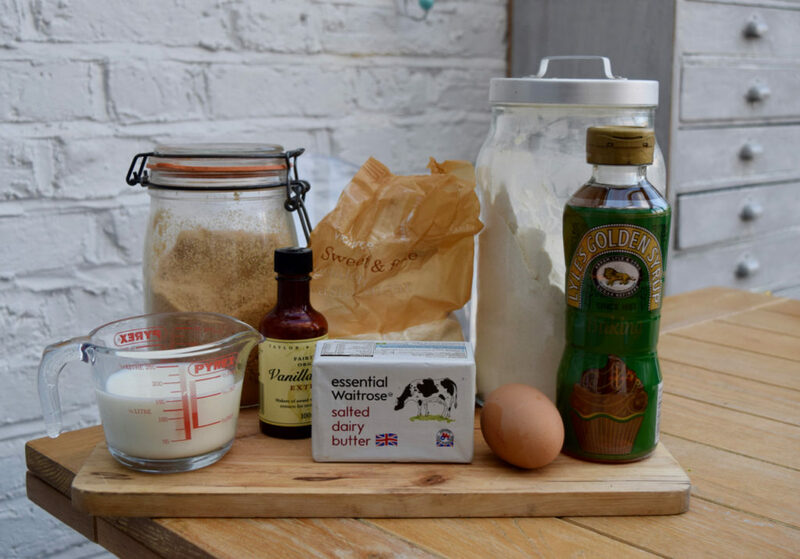 I spend most weekends cooking for Lucy Loves, hungry family members, birthdays and carb-needy rowers, so when it comes down to making a recreational cake for me to trough, I just can’t be arsed. 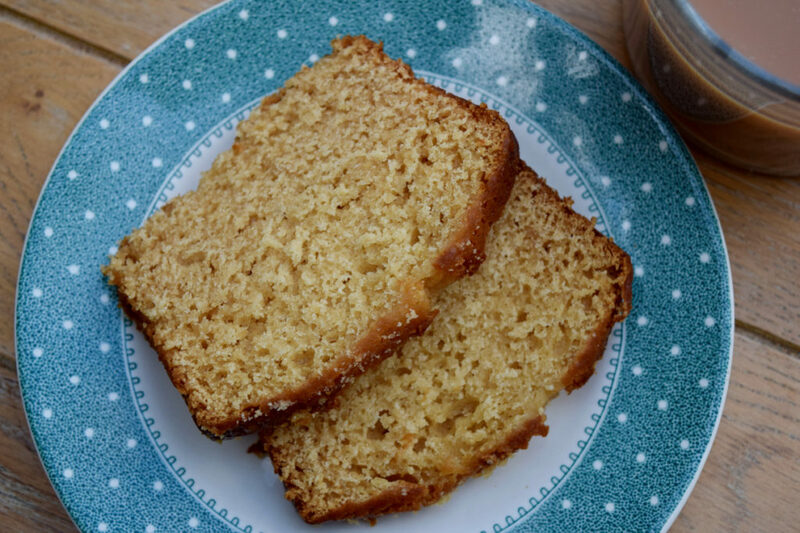 This Sticky Syrup Loaf ticks the can’t be arsed box in every category making it the most popular offering in my current cake based repertoire. Now for a fairly standard list. 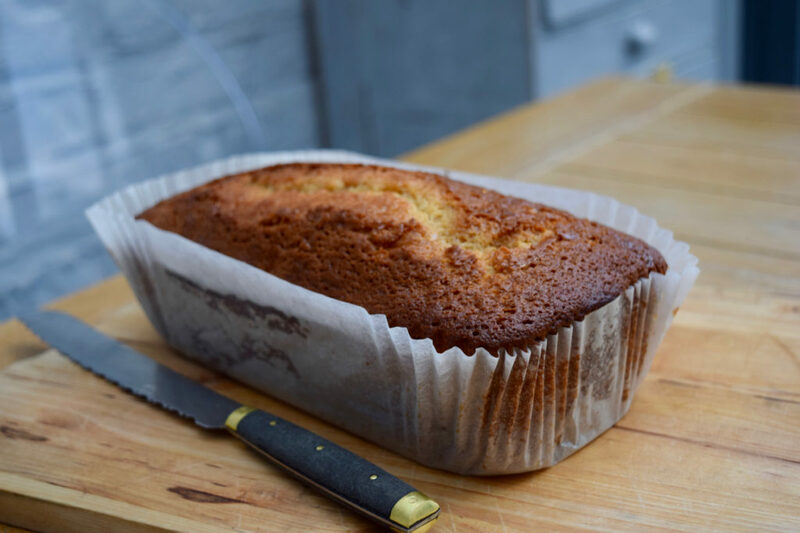 This cake is brilliant because a) it’s a loaf, no need for icing with all the stand mixer drama that goes with it b) It’s a one bowl affair, hooray for a light washing up load and c) it’s so delicious you may never want to eat another cake ever again. Yes, this Sticky Syrup Loaf is sweet, but in a golden, toffee like way. It’s firm, I wouldn’t rule out serving it buttered, but then I’m in that kind of mood; likewise custard would also be a more than welcome addition. It takes minutes to make, then under an hour in the oven followed by a tantalising wait for it to cool before slicing, although if you don’t mind a raggedy looking slice, you don’t even have to bother with the cooling. If you don’t devour the whole loaf in one sitting, this cake just gets better with age, lasting up to a week, well wrapped, for daily snaffling when resistance is low. Which is 7 days a week for me currently. I will be forever in debt to Baking with Granny for this wonderful recipe. At some point I will have to eat a salad or spinach smoothie, but for now, it’s all about the Sticky Syrup Loaf for me. I’m seeing it as a sort of medicine for my everlasting cold. That’s my theory and I’m sticking to it. 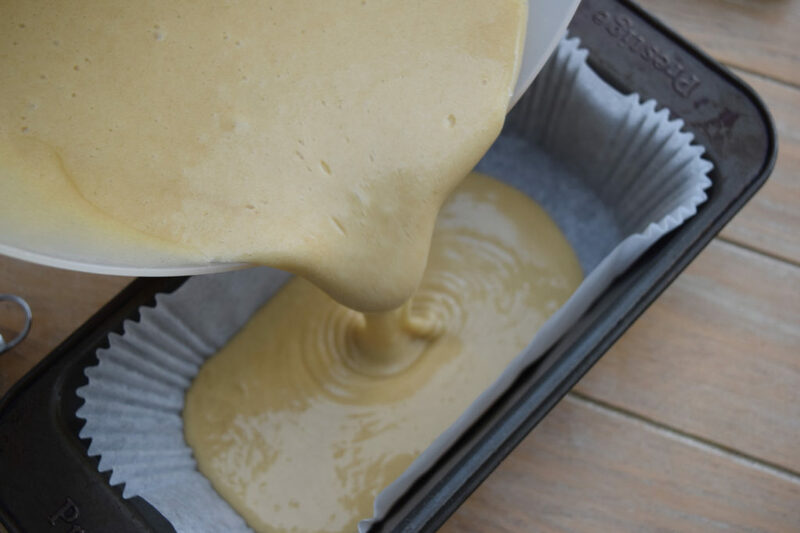 Pre heat your oven to 150 degrees fan assisted and line a 2lb/1kg loaf tin with a liner or some greaseproof paper. 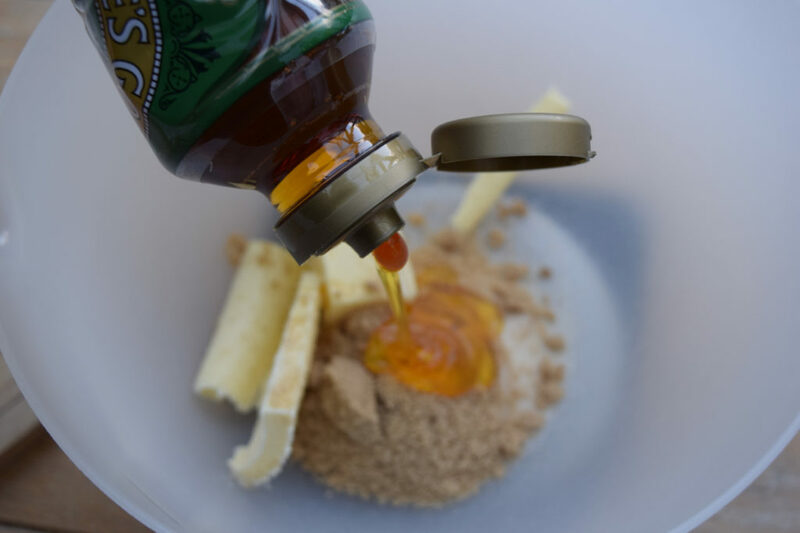 Either in a bowl in the microwave or in a pan on the stove melt the butter, caster sugar, soft brown sugar and golden syrup until the whole lot starts to meld together. Stir well and leave to cool briefly. 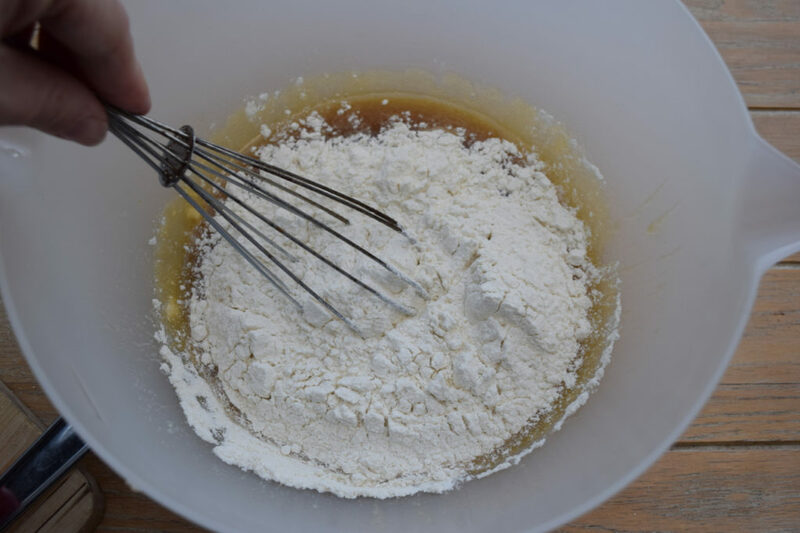 Once this mixture has cooled slightly, fold in the self raising flour. 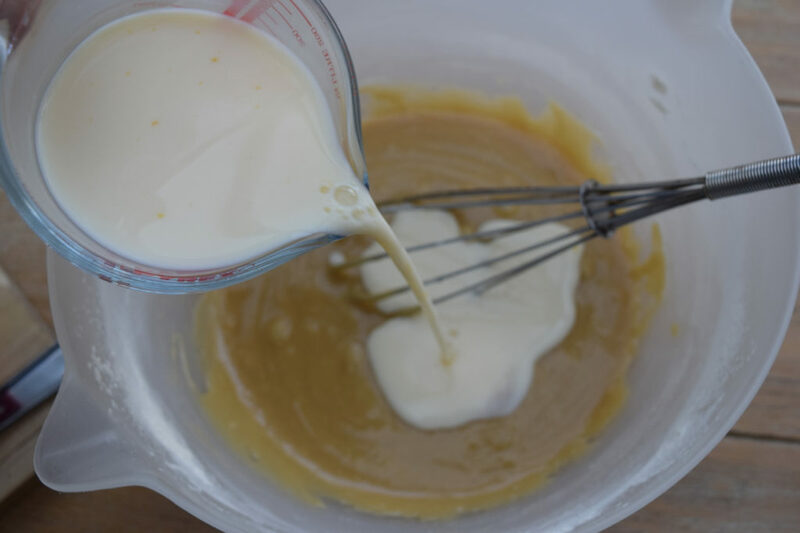 In a small jug whisk together the milk, egg and vanilla then fold this into the bowl until the ingredients are combined. The cake batter will be quite thin. 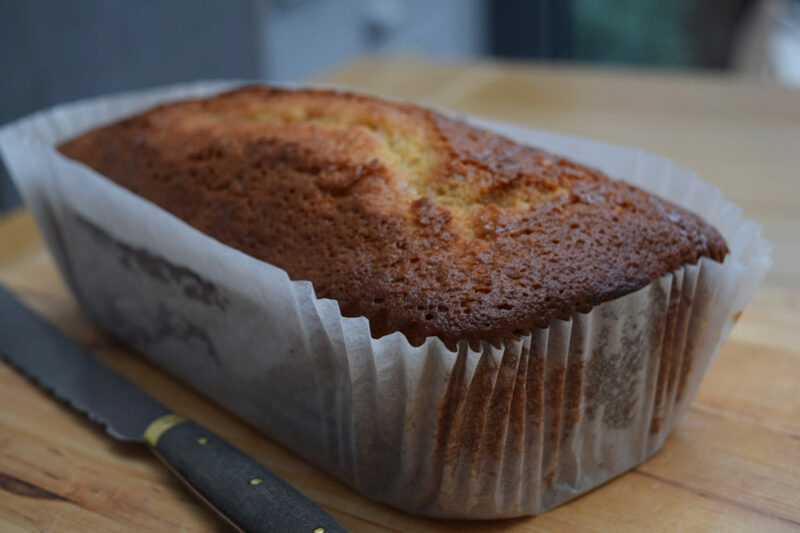 Drizzle the top of the cake with a couple of extra tablespoons of golden syrup then leave to cool completely before removing from the tin and serving in thick slices. The cake improves with age. Keep it well wrapped in greaseproof paper and foil for up to a week.